Item number 3254/55 from the MOA: University of British Columbia. 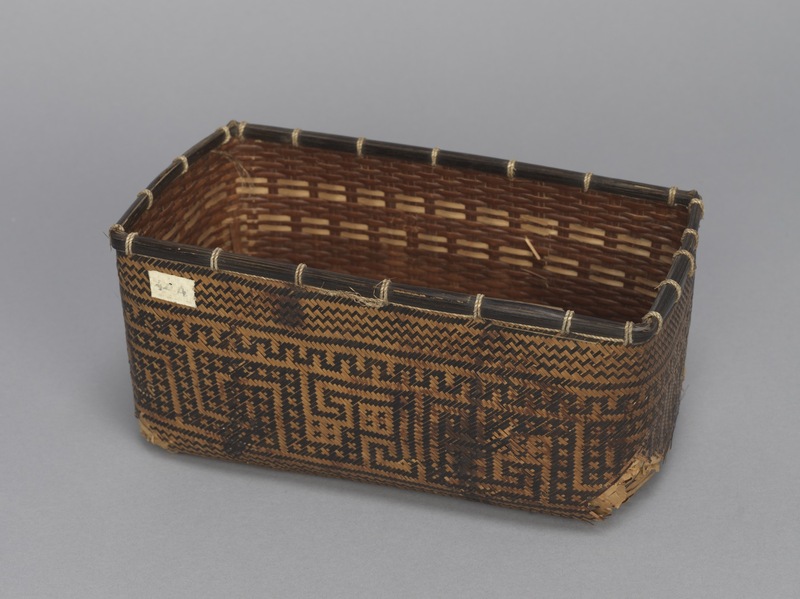 Rectangular basket with outer rim of reed(? ), bent to shape. 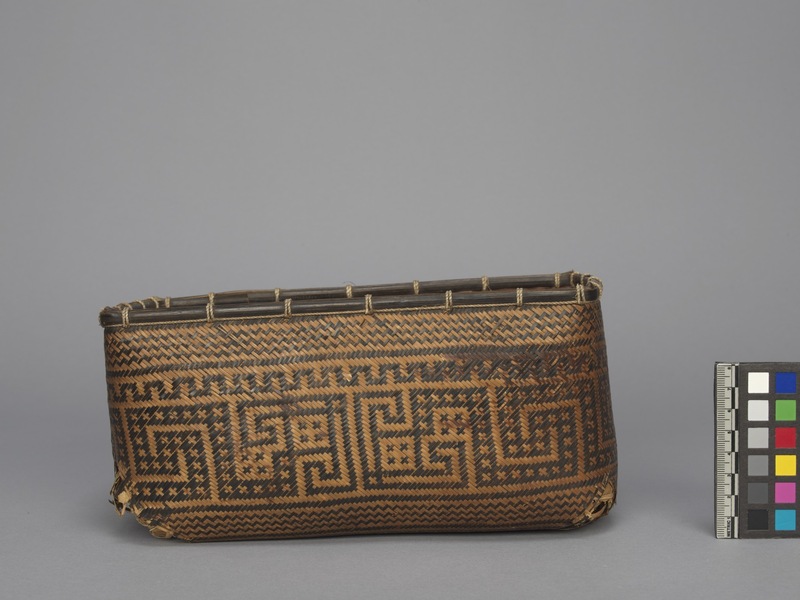 Basket's exterior is woven in thin strips of grass, alternating between a dark and light brown, in geometric designs: rows of zigzags, lines, waves. The basket weave is bound to the rim by twisted fibre, which is looped over the reed. The interior is woven with slightly larger strips of fibre, but in a simpler pattern, and with only a few undyed strands woven in. The bottom of the basket is damaged, exposing the leaves(?) within. grass, fibre and reed ?